My first sock ever pictured above! I’ve finished the second one also, which turned out a lot better. There are a few little errors on the first one – I had a little speed wobble on the heel which can be seen if you look closely. 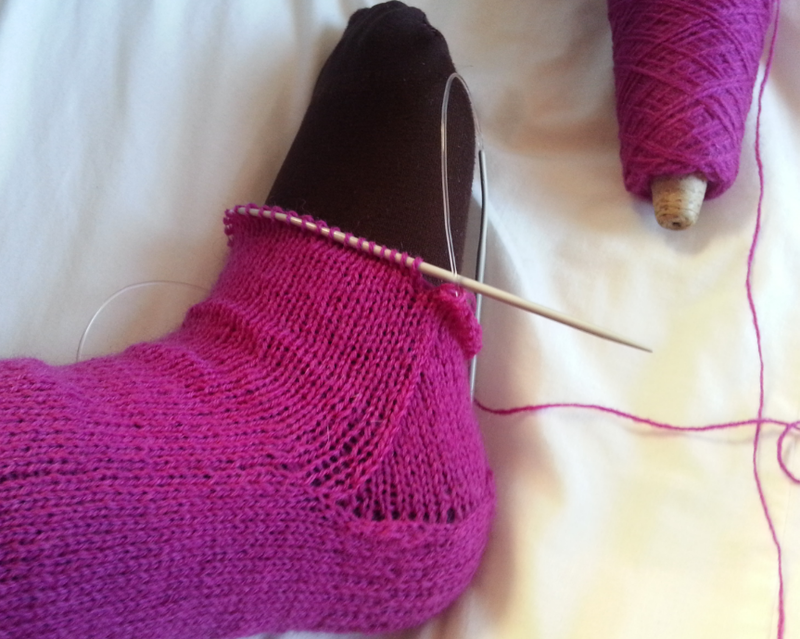 I also jumped onto grafting the toe before I aligned the stitches correctly which made for a wonky toe! 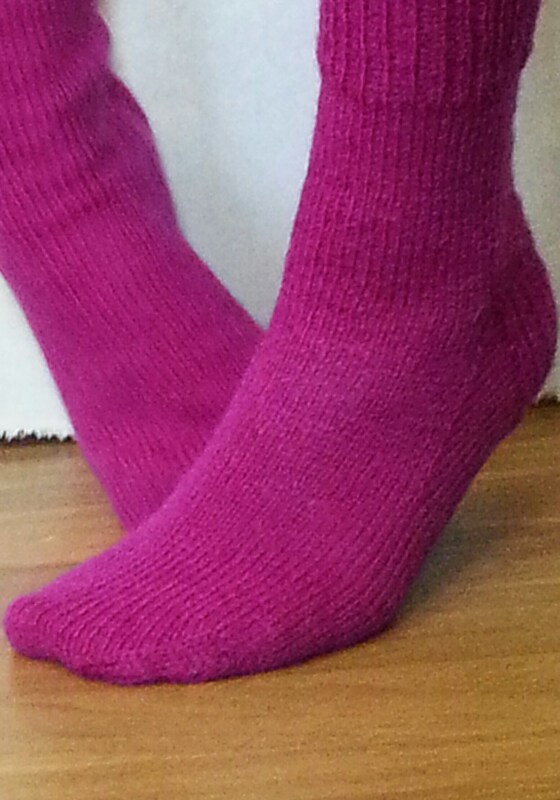 ….I actually didn’t realise until I was finishing the second sock, and then saw the difference! The second sock came together quickly over the course of a few movies, and I’m beginning to see why people love sock knitting so much… I may even have picked up a new ball of sock yarn today! **NOTE TO SELF** – drinking wine and knitting is never a good idea…… doh! So I’ve started my first pair of socks ever…. 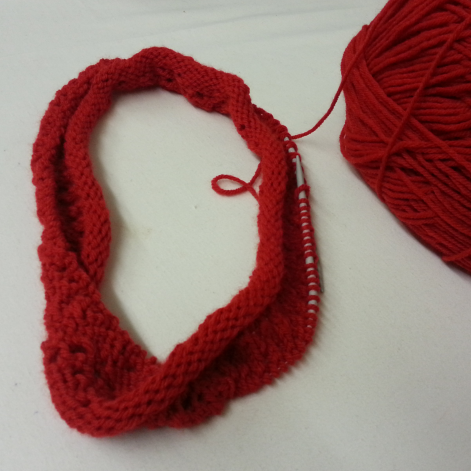 I cast on using a long tail cast on and after watching Kristin’s video on magic loop I gave it a go. It felt a bit fiddly at the start, but it didn’t take long to get the hang of it. I had tried using dpn’s (double-pointed needles) for a sweater sleeve recently and it nearly drove me insane – I wish I’d known about magic loop then! The pattern and directions can be found at K-Line – all the related posts are visible in the side bar of the blog. 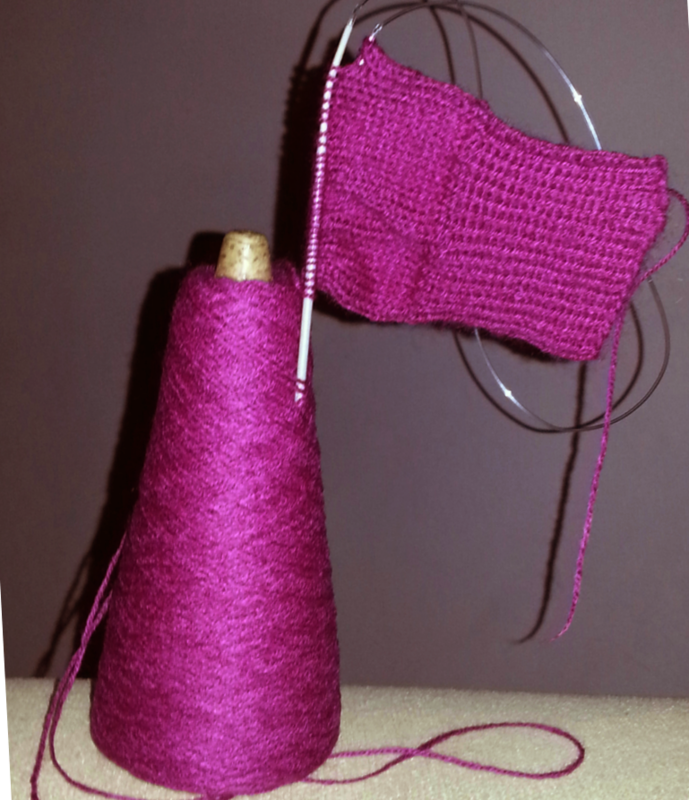 I’m using a 4ply cerise wool ( cos everyone needs pink socks, right?) a leftover yarn, as I didn’t want to buy yarn until I was sure of what I was doing. I got ahead of myself and didn’t read through the directions fully so forgot to decrease stitches after the ribbed cuff, but decided not to unravel it. I just decreased from where I was at a few inches down. 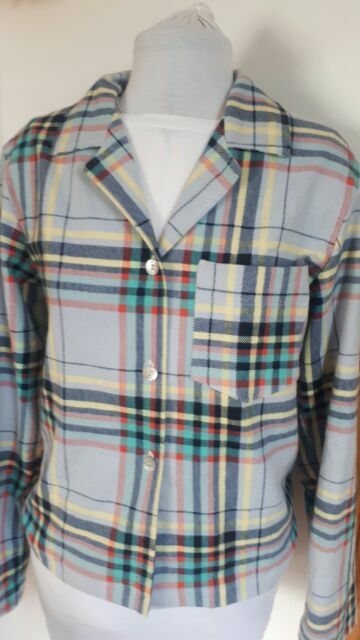 I don’t think it’ll make much of a difference to the fit. 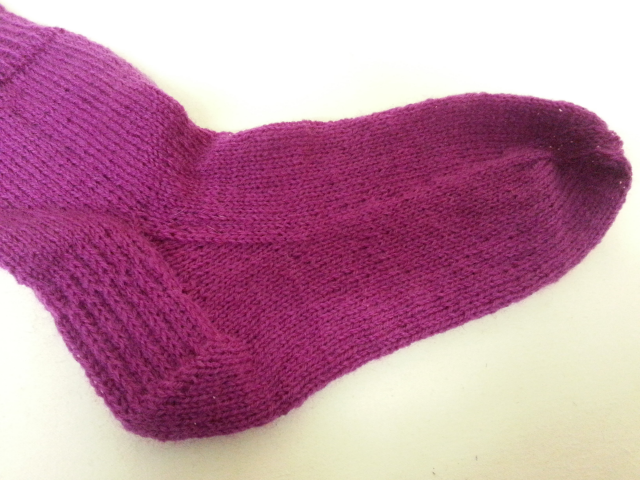 The heel shaping was a revelation to see taking shape – I had to try it on just to look at how well it fitted! I’m not too happy with the gaps at the picked up stitches – it actually looks better on the other side. But I’m treating these as a practice pair so not stressin’ over it. I’m not sure how long I’ve spent on these as I’ve been knitting during tv time. But it didn’t feel like a lot of work. The only thing is that I think I’d prefer to have a cardigan or sweater to wear ,after putting in all the knitting time. It just seems like a bit of a waste when they’ll get covered by my boots!